Just because something is labeled a secret doesn't necessarily mean you can't tell others about it. Case in point, many of your favorite fast food eateries have secrets that are just too good to keep to yourself! These burger joints and sandwich shops offer specialty items on “secret menus” for those lucky folks who are in the know. Although these delicious delights are not listed on the regular menu or publicized, they can be enjoyed by anyone. The only prerequisite is that you know the secret. Apple Pie: An all-American treat, this drink will make you feel like it's the 4th of July. Blue Gummi Bear: A mixture of blueberries, raspberry juice, soymilk and a mixture of sherbets, this blue concoction is as sweet and yummy as a blue Gummi bear. BlueTopia: Made with lots of delicious blueberries and other tasty ingredients, BlueTopia certainly lives up to its name. But don't worry, this drink will not leave you feeling blue. Chocolate Covered Strawberries: If you love the taste of chocolate covered strawberries you must try it in the form of a smoothie. Chocolate Gummi Bear: Do you like chocolate and Gummi Bears? If you answered yes, you’ll like this beverage. Fruity Pebbles: Enjoy your favorite cereal anytime with this smoothie. Made with a combination of colorful sherbet, you'll be reminded of the Fruity Pebbles you had for breakfast. Green Gummi Bear: The folks at Jamba Juice seem to have a thing for Gummi Bears. Their secret menu offers several varieties of the popular candy. The Green Gummi Bear is made using lime flavored sherbet for a delicious lip smacking flavor. Lemonade Lightning: This beverage has a lemony tart flavor that is very good but you’ve got to be careful, it can hit you like lightning. Melonade Wave: A mixture of melons and other tasty treats, this drink will feel like a wave of tasty fruit. Now and Later: This smoothie tastes just like the fruit-flavored candy. It's so good you'll want to have one of these beverages now and later. Orange Dream Machine: If you enjoyed orange creamsicles as a kid, you'll definitely want to try this drink. Made with orange sherbet, frozen vanilla yogurt and other goodies, this delicious mixture will take you down memory lane. Pacific Passion: A mixture of passion fruit, sherbet and fresh fruit, this beverage is as refreshing as a cool breeze. Peanut Butter and Jelly: A creamy delightful mixture for anyone who loves a good peanut butter and jelly sandwich. Pink Gummi Bear: A combination of soymilk, mango juice, strawberries and several sherbet flavors. With this drink pink is for everyone. Pink Starburst: Yum! Almost everyone loves Starburst candies and the pink ones are a favorite. The Pink Starburst includes sorbet, frozen yogurt, strawberries and other tasty treats for a delicious and satisfying drink. Push Pop: Get all the flavor of a Push Pop without having to keep pushing the ice cream to the top to enjoy. Rainbow Sherbet: Get all the flavors of a rainbow sherbet in this yummy and satisfying beverage. 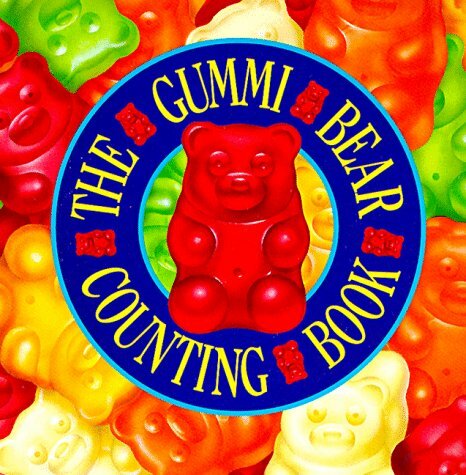 Red Gummi Bear: This crimson delight is made with a base of strawberries and raspberry juice. After tasting this, red may just become your favorite color. Reese Pieces: Tastes just like the yellow, orange, and brown candy pieces. Scrumptious. Skittles: If you are a fan of the candy (and who isn't), you are gonna like the smoothie! Sourpatch Kid: Go ahead make a sour face when you drink this sharp and thirst gratifying beverage. Made by mixing several ingredients, including blueberries, lemonade and several sherbet flavors, the Sourpatch Kid will not disappoint your sour taste buds. Strawberries Lightning: Although not as tart as the Lemonade Lightning, this drink will nonetheless give you a bolt of strawberry flavor. Strawberry Shortcake: If you love the flavor of strawberry shortcake, you'll enjoy this beverage. Rich and creamy, it is deliciously satisfying. Sunny Delight: This tastes just like the breakfast beverage, orange and delightful. Tootsie Roll: Just like the chocolaty gooey candy but you don't have to chew it. White Gummi Bear: The white/clear Gummi Bear is one of the most popular and this beverage tastes just like it! McDonald's is the world's largest fast food restaurant chains and the Golden Arches is one of the most recognizable symbols. The popular fast food chain serves billions of people every year. Their menu includes hamburgers, cheeseburgers, chicken nuggets, French fries, breakfast items, soft drinks, milkshakes, desserts, fish, wraps, smoothies and fruit and seasonal items. All American: A hamburger with pickles and ketchup. Big McChicken: Two chicken patties with a beef patty in the middle. Float: As your local McDonald’s server to add a scoop of ice cream to your favorite fountain drink for a delectable drink or dessert. Grilled Cheese: This is a cheese burger without the burger, a hamburger bun with grilled cheese. Ask them to include mustard, ketchup and pickles for additional flavor. McKinley Mac: The only difference between this and an original Big Mac is that it is made with two quarter pound beef patties. Monster Mac: A Big Mac with eight beef patties . . . not for everyone. Neopolitan Milk Shake: The traditional chocolate, vanilla and strawberry flavors mixed in this flavorful milk shake. Pie McFlurry: You can ask the folks at McDonalds to blend one of their individual pies into a McFlurry for a decadent dessert drink. Root Beer Float: Root beer and a scoop of vanilla ice cream, available in any drink size. 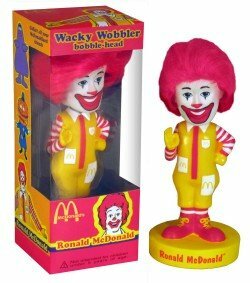 The Ronald McDonald wobbler makes a great gift for any McDonald's fan. Founded by Harland Sanders, Kentucky Fried Chicken (KFC) has become one of the largest restaurant chains in America. Not bad for a person that began selling fried chicken in Kentucky during the Great Depression. The first KFC franchise opened in 1952 and Sanders became the spokesman for his product as "Colonel Sanders." Although Sanders sold his famous chain in 1964, his likeness and name are still a part of the fast food establishment. Although the fried chicken is the most popular item on the menu, there are several other delicious items to choose from including the following dishes. Bacon Bonanza: Do you like the combination of bacon and chicken? You can ask the folks at KFC to add bacon to any chicken sandwich. It's also rumored that you can actually ask them to add bacon to any menu item. But that's just a rumor. It may or may not be true, like Big Foot. Bowls Galore: Create your own KFC bowl just the way you like it by adding anything (or everything) on the menu. But be careful, it all adds up! Hot Pocket Bowl: This special treat includes a hot pocket bun, chicken, corn, cheese and gravy. The Hot Pocket Bowl is a tasty and filling treat. Had enough fast food? 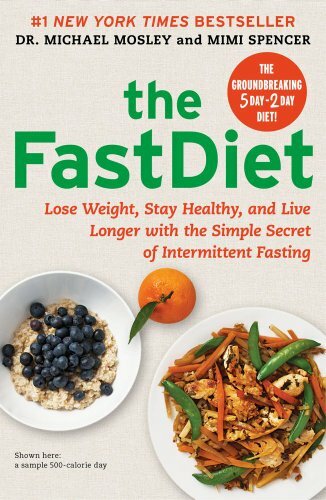 Learn how to keep your svelte figure with the Fast Diet book.